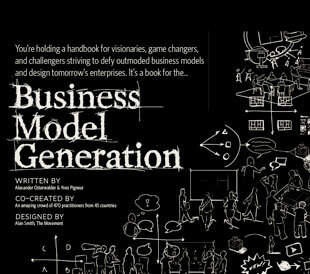 Currently I am working our upcoming book "Business Model Generation" on a section about ideation: the art of generating innovative business model ideas. While working on this section I realized that ideas were not necessarily the problem. They exist in abundance within a company or an industry. I've experienced this with multiple organizations. 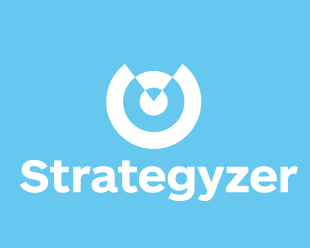 The issue is selecting the right ideas, turning them into something implementable and then actually DOING them. Regarding the first issue, selection, the biggest problem is that today's organizational and management structures don't allow good business model ideas to become visible. Interesting business model ideas can come from anywhere in a company. Operations, client services, finance... Yet, they have to be selected by management in order to maybe become real options. More often than not they stay invisible. I'm pretty sure that there were many smart folks in record companies that had good busines model innvation ideas. However, the management of these companies preferred to stick to the status quo... and ultimately become disrupted by illegal downloads and challenged by iTunes. A solution to this is to put a multi-disciplinary business model innovation task force together. One that has the sponsorship of top management and the board. The task force should be composed of people from various levels of hierarchy, from different age groups, with diverse levels of experience, from different business units and with mixed expertise. The diversity will help ideas to emerge, to be discussed, improved and then selected for implementation. The implementation issue is more challenging. It requires the willingness of top management and the board to experiment and allow for bottom-up ideas to emerge. Unfortunately, it also requires taking some risks to play with new ideas in the field. But if you look at the major record companies today, the risk of inaction is even bigger. I would argue for maintaining a portfolio of business models of which some may even cannibalize the existing main business model. A great example of a business model portfolio can be found within Nestlé's coffee business. While the Swiss multinational became big in coffee with Nescafé it's current growth engine is now Nespresso. Nespresso sells espresso machines and pods to the high-end of the market. What is impressive is that Nestlé is internally challenging its new multi-billion espresso-pod money-making machine. They expanded their business model portfolio in coffee with Dolce Gusto, a Nescafé sub-brand targeting the lower end of the market. Dolce Gusto's business model is quite similar to that of Nespresso with some tweaks. Nespresso sells to the higher end of the market, while Dolce Gusto sells to the lower end. Nespresso doesn't sell pods through third party retail, while Dolce Gusto does. Though they are both targeting different customer segments, Dolcé Gusto is still cannibalizing Nespresso to a certain extent. Respect for Nestlé that they allow for this internal competition!